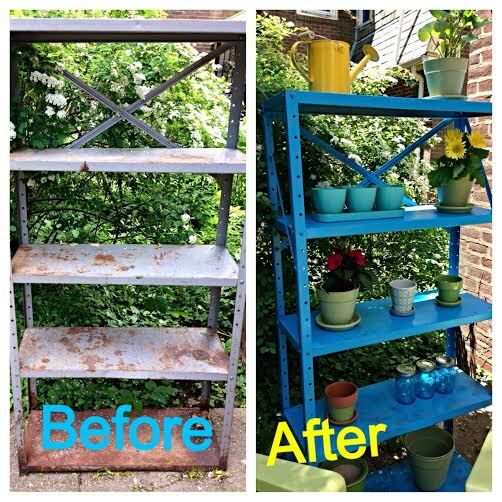 When Larry asked me what I wanted to do for Mother’s Day, he was pretty surprised when I said, “Clean out the garage.” But in all honesty, it is what I wanted to accomplish. So we spent two Sundays (Mother’s Day and the next weekend) sorting through everything: saving, tossing, cleaning, and organizing. 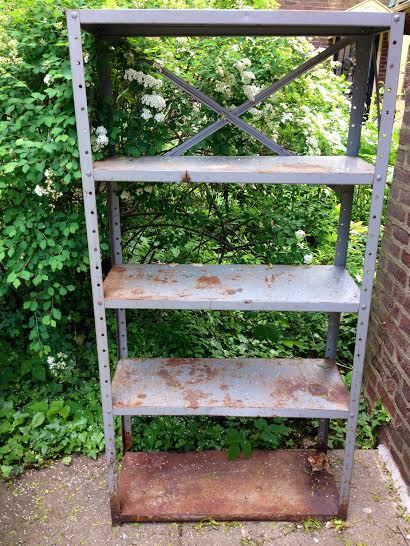 In the corner was this old metal shelf left over from the previous owners. It was in a pretty sad state. 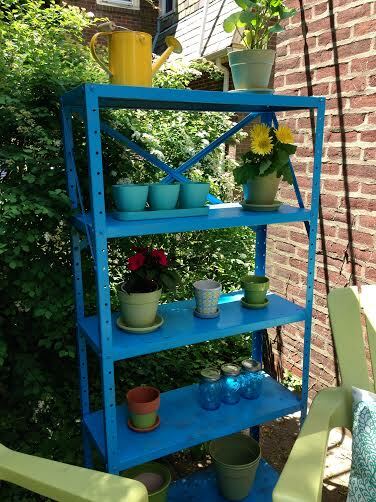 I thought it would be a great shelf to put on our patio, once I spruced it up a little. I cleaned it off (the best I could), sanded it down with steel wool pads, and rinsed it off again before spray painting it. 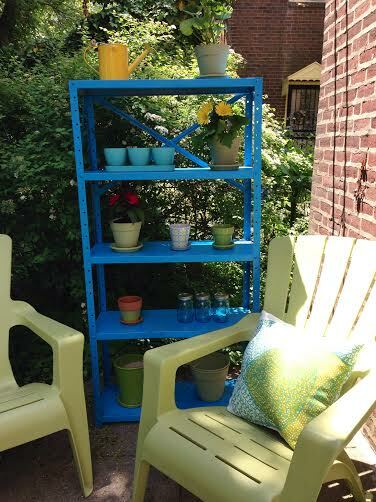 Here it is on our patio with all of our potted flowers for the season. I hope you are enjoying your Memorial Day weekend. 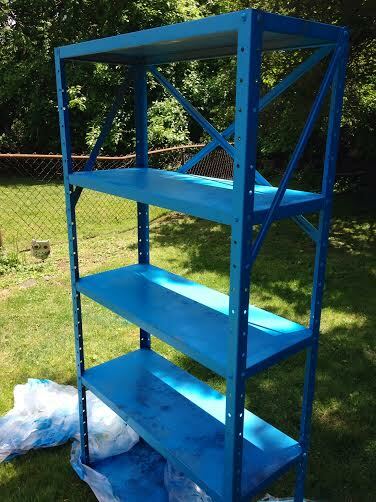 Now that I have my cans of spray paint out…. I am spray painting many things! I’ll be back soon to show you some more before and after items for our yard. Thanks for reading! In with the old! Love it – looks great!! !